5NOTE: Before purchasing, check with your instructor to ensure you select the correct ISBN. Several versions of Pearson's MyLab & Mastering products exist for each title, and registrations are not transferable. To register for and use Pearson's MyLab & Mastering products, you may also need a Course ID, which your instructor will provide. 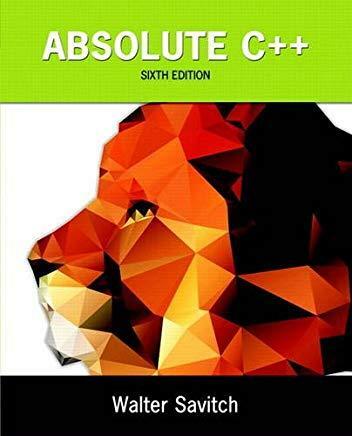 Absolute C++ is a comprehensive introduction to the C++ programming language. The text is organized around the specific use of C++, providing students with an opportunity to master the language completely. Adaptable to a wide range of users, the text is appropriate for beginner to advanced programmers familiar with the C++ language.